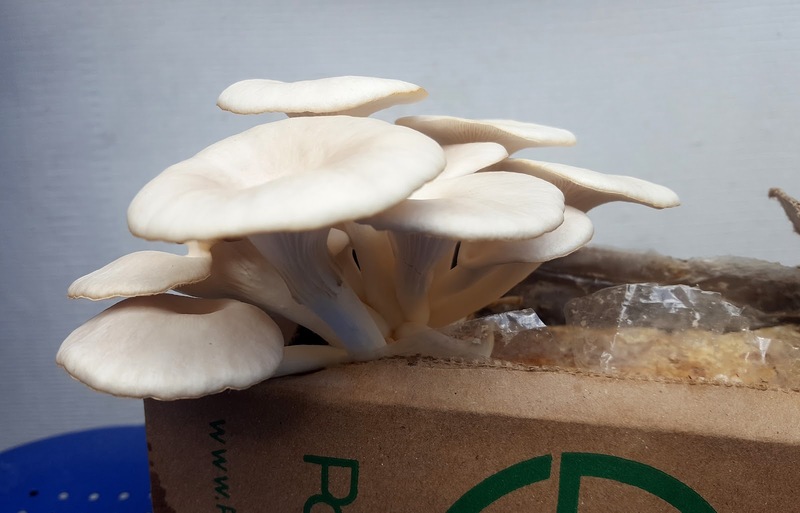 Sand Under My Feet: Grow Your Own Gourmet Mushrooms with Pot Hed Inc.
Grow Your Own Gourmet Mushrooms with Pot Hed Inc. When I was growing up, our ancestral house had a huge garden with different kinds of floras and fauna, maintained by my grandma and my aunts. Sometimes some ingredients for our lunch and dinner will come from that garden. Having that in your own home puts some seed of wanting to have greens all around you every time and grow plants and flowers at the comforts of your own home. When I was little there's a garden and landscaping shop near my school and I would save up and buy flowers in pots and try to grow them at home. Up until college, I would buy flowers whenever we drive down from Tagaytay. But guess what? All those plants eventually died. Unfortunately I am someone who does not have a green thumb! I even killed a cactus! Can you imagine that?! 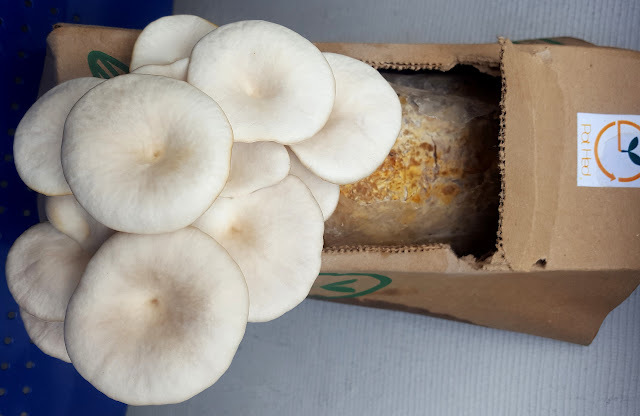 So I was a bit skeptic when Pot Hed contacted me to try growing their gourmet mushrooms. I was thinking will it be that simple? It's like I am the opposite of having a Midas touch when it comes to plants. But the peeps at Pot Hed assured me that it'll be so easy and very low maintenance. But before I share you guys my experience growing the mushrooms let me tell you first the nice story behind this advocacy. Pot Hed Inc. is founded through curiosity to help make a change to our nature, and trying to re-connect people from the food they eat. Pot Hed in partnership with Majik Mayk Gourmet Mushrooms develop their first product to serve you the all organic sustainable mushroom kits made out of Kalinga coffee waste grounds from coffee shops of Los Baños Laguna Philippines (Entablado, Coffee Blends, Black & Brew and more) together with agricultural and industrial bi-products, which you can grow up to 4 crops from each kit. They are in continuous development of the product to make it more available to everyone. 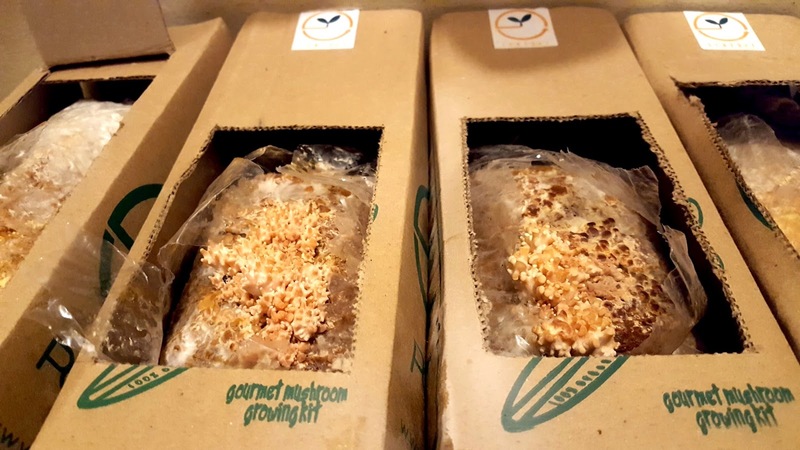 Pot Hed “Majik Mayk Gourmet Mushroom Grow Kit” allows you see their progress in a short period of time every day from your own home. 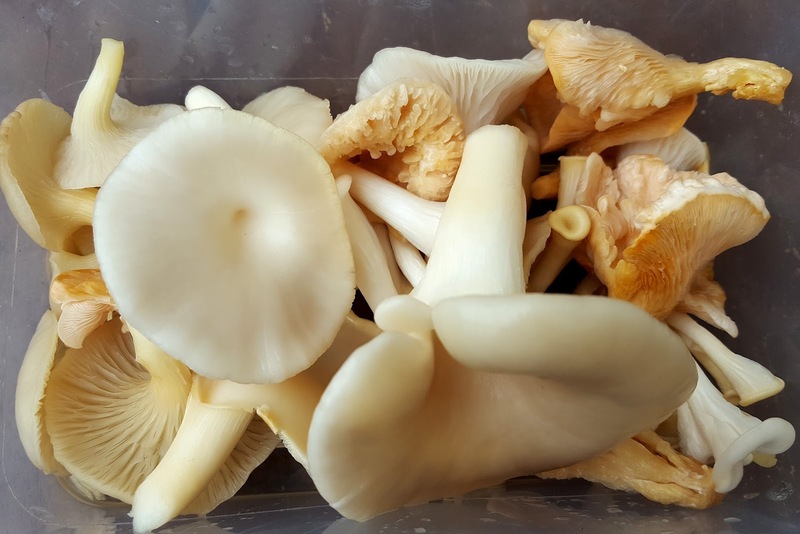 Mushrooms from our kit transform the soil bag into a nutritionally rich organic compound garden soil enhancer, this makes it good for your own home grown vegetable garden. The mushroom growing materials from our soil bags breaks down materials where it can possibly grow back again, whenever our kits end up to landfills the mushroom roots will start to take over its place and try to re-grow itself back again to fruiting. As it breaks down its growing media it lessens the effect of this materials from landfills to our nature. 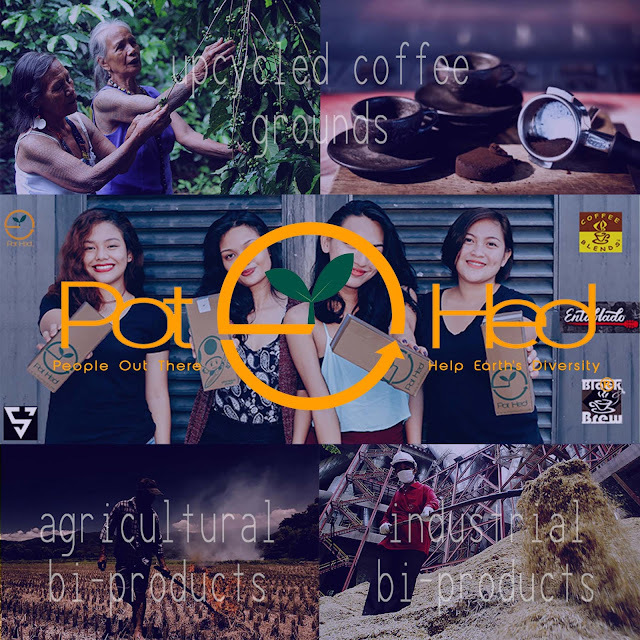 Pot Hed aims to inspire others to value resources and up-cycle other waste. They distribute and develop sustainable products of our partner companies, giving new entity to different industrial and agricultural waste. By reusing – recycling to reduce the effects of this material to our planet. Pot Hed was kind enough to send me 6 kits of their gourmet mushrooms in 3 varieties: Pink, White and Gray Oyster Mushrooms. I just followed the instructions written on the box and from the message I received from Pot Hed. After a few days I started to see little mushrooms sprouting! So I waited for a few more days and then it was a sight to behold! I have grown mushrooms in the comforts of my own home! Success!!! They were so cute hahaha! But they have to go and needs to be cooked and eaten. So I gathered my first harvest (yes that was said with great pride! huh!) and I prepared all the ingredients. The dish is just something I whipped up in my head taking after some of the Asian dishes I've tried. 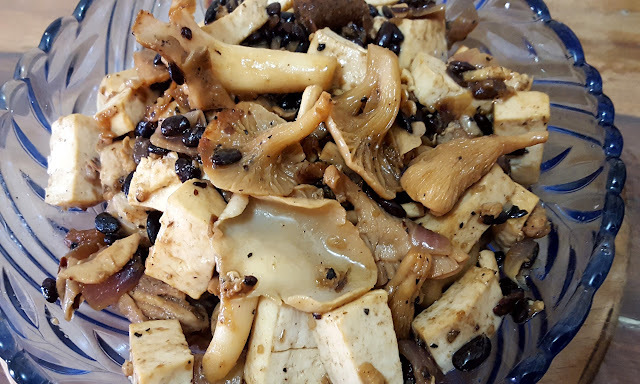 Anyhoo just in case you guys wanna try it here are the ingredients: - half cup black beans - chopped garlic and onions - pinch of salt and pepper - 3 cups tofu diced - 2 tbsp sesame oil - 1 tbsp oyster sauce - 1/2 kilo chicken breasts (cut to whatever your desired shape is) - and my home grown Pot Hed oyster mushrooms! 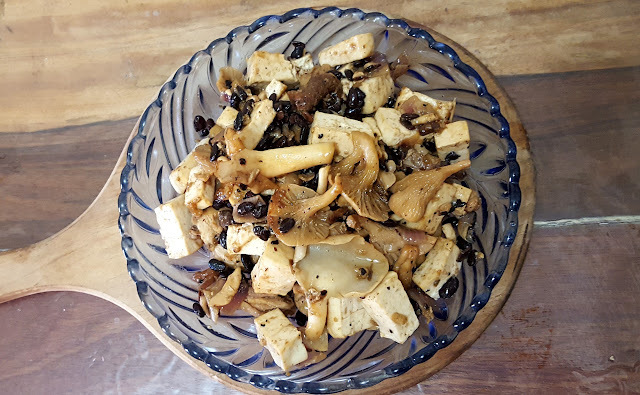 I just stir-fried everything; cooking the chicken breasts first then the tofu and once cooked I threw in everything in there and then stir fried for another minute or two. How did it taste you ask? It was awesome of course! I had a satisfying smile while eating it because I know in my mind I grew them babies all.by.myself! My friends were asking me how did the mushroom tasted when I posted them on my social media. Heck they taste like what mushrooms would taste! The only difference is that you know it's organic, you grew them yourself and you somehow helped in saving the environment by using used coffee grounds and other industrial by-products. What do you guys think, easy yeah? Please go and check out Pot Hed by visiting the links I posted down below for more information and how to get them mushroom kits. ShopBack PH: Shop Online and Get Your Cash Back!